* Sled into the holiday spirit with our family of elves ceramic ornament. 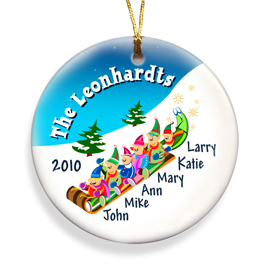 * Select a family of four, five or six and personalize it with all of your elves' first names and the Year. 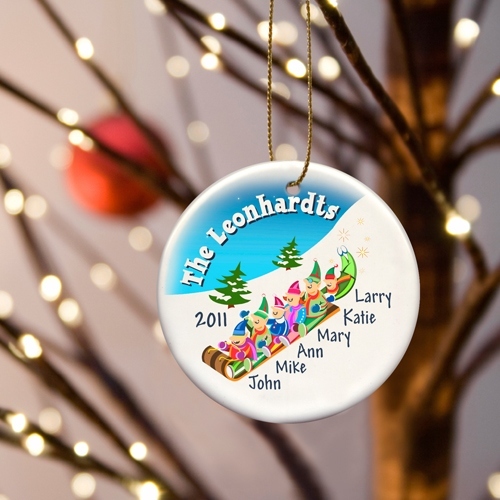 * Measures 3" in diameter and includes a metallic gold ribbon for hanging.